ST10 GAS was set up by Bob Worthington-Harris in 2011. 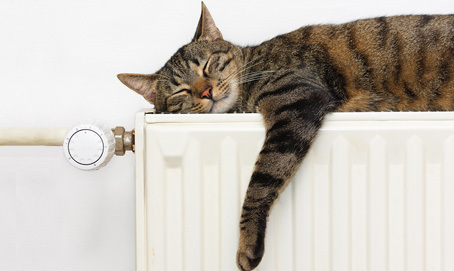 The company offers a full range of gas and oil services for your home, ranging from safety checks to full central heating system installations, and everything in between. We operate in Staffordshire and Derbyshire, especially in the Ashbourne, Leek, Uttoxeter and Stoke-on-Trent areas. We offer a friendly, dependable and reliable service, committed to customer satisfaction - read our reviews below. Service and Installation of Domestic Gas Boilers, combination, regular and system. Service and Installation of Domestic Gas Cookers. Service and Installation of Domestic Gas Fires. Service and Installation of Domestic Gas Water Heaters, single and multipoint. Breakdowns (not the nervous ones). We are Gas Safe Registered (formerly CORGI), Worcester Bosch Group Accredited and qualified OFTEC (Oil Firing Technical Association) technicians. If you could review us on Google, Yell or below we'd really appreciate it. Thanks! ST10 Bob has repaired my oil combi boiler at which he was excellent, he is very competitive very thorough and shows proper skilled repair I highly recommend. Came out at short notice to fix a heating problem. Friendly, knowledgeable, professional. Saved us a lot of money. Thoroughly recommend him. Bob has just fitted my new Worcester combi boiler and I couldn't be happier. Prompt response to initial request for a quote and great communication between quote and fitting. Extremely quick work, left everywhere clean and tidy and lovely to have around. Excellent in every way. I would definitely recommend him. "The Beast from the East"...After being let down by none returned calls to a number of gas engineers I found ST10 GAS on the the internet. Saturday morning returned my call within half an hour and arrived at my home an hour later. Despite working long hours during these awful weather conditions, Bob couldn't have been more friendly and helpful. He fitted a new fan which I had sourced and our heating was back up and running within the hour. Superb service and pricing, l will certainly be using him again and recommending him to others. Thanks again Bob. Bob at ST10 GAS did a first rate job fitting a new boiler at short notice. Turned up when he said he would, and stayed till the job was finished. Charged exactly what he quoted and worked with a friendly smile and a good sense of humour. Have already recommended him to several people. 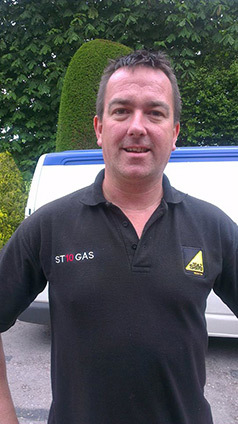 ST10 GAS just repaired a leak and serviced my boiler - absolute brilliant service with a smile. Would certainly recommend. Gas fire connected by Bob, very efficient and friendly, nice to have someone who didn't mind answering any questions. I would definitely recommend ST Gas and would use this company again! At last, someone who does a proper job of servicing our oil boiler. Highly recommended. Call us to check we operate in your area - 07988 139 528. We look forward to hearing from you.